The Rio Grande was one of eight original rivers to receive protections under the Wild and Scenic Rivers Act, which designates and preserves free-flowing rivers with scenic, recreational, geologic, fish and wildlife, historic, and cultural values for present and future generations. Due to climate change and population growth, however, the Rio is drying up fast. The first step to protecting America’s Great River is for the Bureau of Land Management to study the flows necessary for a healthy Rio. Send a message to Senator Udall thanking him for his support protecting flows in the Rio Grande and ask him to help secure funding for a study of necessary flows to ensure a truly Wild and Scenic Rio Grande Gorge. Please note: Members of Congress mandate all contact fields to be required, including title. The Rio Grande needs your help. The Rio Grande Wild and Scenic River turns 50 in 2018 and it needs your continued leadership to ensure it sustains fish, wildlife, and communities for years to come. In its first 50 years as one of eight protected reaches designated under the Wild and Scenic Rivers Act, the U.S. Bureau of Land Management ("Bureau") did not fulfill its responsibilities to ensure that the Rio Grande's exceptional scenic, recreational, geologic, fish and wildlife, historic, and cultural values are preserved for future generations. It took the Bureau more than 30 years after the river was designated before it even identified the Rio Grande's outstandingly remarkable values. Further, the Bureau has not studied the entire 74-mile reach to determine the flows necessary to maintain these designated values. This study is imperative to protecting the Rio Grande's flows. 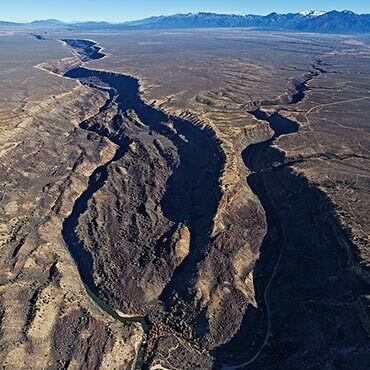 I am very concerned that the baseline flows in the river have already been diminished from their levels in 1968 and that this wild and beautiful section of the river--coursing through the treasured Rio Grande del Norte National Monument--is at risk. I ask for your continued leadership in advocating for funding for this study and ensuring that the Bureau use the money to meet its obligations under the Wild and Scenic Rivers Act. It is time Congress honored its commitment under the Act to preserve certain rivers in their natural state. We can honor the legacy of this great Act by ensuring that its intent is carried out. The Rio Grande is the lifeblood of the desert southwest. Thank you for your support to protect and restore flows in this Great River to nourish our fish and wildlife, communities, and iconic western landscapes. I ask that you continue to provide leadership in fighting to keep the Rio Grande wild.